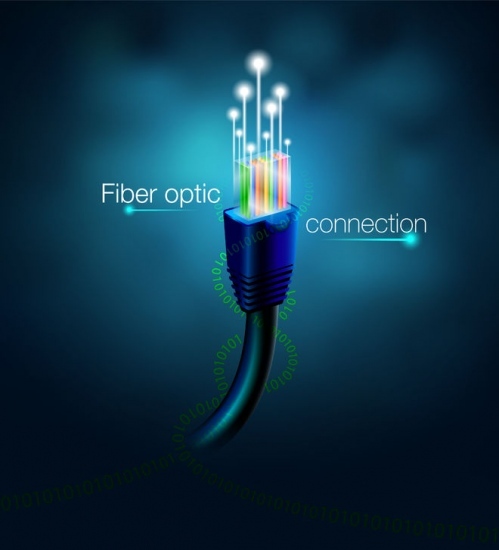 Most of the major ISPs and network operators, including Openreach (BT), now appear to agree that pure fibre optic (“full fibre“) broadband cables are the way forward for fixed line connectivity. These Fibre-to-the-Premises / Home (FTTP/H) networks transmit their data using laser light, which mercifully doesn’t suffer from the same reliability or performance problems as older copper lines. On top of that FTTP/H networks can carry a ridiculous amount of data down even a single optical fibre (multi-Gigabit and possibly even Terabits in the distant future), which should mean that there’s plenty of capacity available for when we need it. But a combination of issues with market regulation, competition, high deployment costs and the slow pace of rollout can still make it very difficult to do. In fact until very recently there had been precious little FTTP/H progress in the UK, but it was almost a very different story. Back in 2009 BT had initially pledged to deliver FTTP services to 2.5 million UK premises, although a combination of problems (e.g. it took far too long to install) meant that their aspiration was put on ice and by the end of 2012 the UK only had around 100,000 premises passed. Since then the market has continued to change, with many rules being relaxed and new investment flooding in. At the same time new deployment methods (narrow trenching, overhead fibre etc.) have also helped to bring the cost down further and we’ve seen both Openreach (BT) and Virgin Media set healthy rollout plans. The Government has also stepped in with new investment and a business rates holiday (here). Last year ISPreview.co.uk estimated that around 1.1 million UK premises had access to FTTP/H and this figure seems set for a meteoric rise (here). So here’s a quick summary of the progress so far from each of the main operators, although there are quite a few smaller projects that we don’t have enough data to include. Where possible we’ll also try to cover investment figures. After somewhat sitting out the first round, Openreach announced in May 2016 that they intend to rollout FTTP to 2 million UK premises by the end of 2020 (here). Most of this initial deployment would focus on catering for new build home developments and businesses. Sadly getting a clear costing for this expansion isn’t easy, although some estimates suggest that it would probably cost somewhere around £1bn. In recent months the operator has also gone much further by proposing a hypothetical scenario where they could conduct a “large-scale” rollout to 10 million premises by around 2025 (here), which they say would cost £300-600 per premises passed (total of between £3bn to £6bn); plus £175 – £200 to connect. This is roughly in keeping with their current deployment and would largely target the low hanging fruit of urban areas. At present 10 million premises is still just an aspiration and one that Openreach argues would require co-investment support from ISPs, as well as favourable regulatory conditions in order to make the risk worthwhile. But Openreach’s game of hard ball risks leaving them vulnerable to the rise of competitors, who often require no such concessions and don’t suffer from the same enforced regulatory baggage or the presence of an ageing copper network. Standing still by relying on hybrid fibre upgrades, such as G.fast, is perhaps not the best long-term strategy. However we suspect that they will win some, if not all, of their desired concessions, although finding a co-investment partner in this market of frequent disputes and alternative models could be difficult. At present we understand that Openreach has around 631,000 premises passed and they have been aiming to hit 650,000 by the end of March 2018 (here). Most recently they’ve also ramped-up their FTTP plan by aiming to reach 3 million premises with FTTP by the same date of 2020 (here), which points to the start of a serious long-term commitment. The vast majority of Virgin Media’s network, which serves over half of the UK (mostly urban areas), is based on a Hybrid Fibre Coax (HFC) cable network that uses EuroDOCSIS technology. The nature of this network means they’re already able to deliver “ultrafast broadband” (100Mbps+) speeds and have been doing so for several years, with performance likely to reach into Gigabit territory once they upgrade to DOCSIS 3.1. However Virgin Media has also moved to keep pace with Openreach and as a result their current network expansion aims to reach 2 million premises with FTTP by the end of 2019 (here), although recent hiccups with their rollout progress have cast some doubt over their ability to meet this target (here) and we think the original target of 2020 may now be more viable. Meanwhile their HFC network is also being expanded to reach another 2 million premises by the same date and the total cost for all this (Project Lightning) has been pegged at about £3bn (i.e. 4 million extra premises via HFC/FTTP). Once complete their network should be able to cover around 60-65% of UK premises but there are now doubts about whether the 4 million goal will ever be hit (here). The team behind Hyperoptic know a thing or two about building a new ISP from the ground up, after all they already did it successfully once before with BE Unlimited (BE Broadband), before O2 acquired the provider and later sold that business on to Sky (Sky Broadband). Happily the same team came back to build a unique fibre optic focused start-up and they did so at a time when few others would even dare. The ISP was able to succeed by finding a strong niche that focused on connecting their Fibre-to-the-Building (FTTB/P) network to larger residential (i.e. Multi-Dwelling Units with at least 50 units) and office blocks in dense urban areas (cheaper to serve), with the first going live around central London. Since then they’ve also expanded into many new cities, as well as some large social housing and new build home developments. Under this approach the ISP’s network has already covered 500,000 homes (up from just 35,000 in Feb 2014) and this is being followed by an “ambitious plan” to cover 2 million urban premises by 2021 2022 and then 5 million by 2024 2025. In terms of funding, Hyperoptic has been supported by investment in the form of £50m from Quantum Strategic Partners, a £21m eight year loan from the European Investment Bank and they recently secured £100m from a consortium of four major European banks (BNP Paribas, ING, RBS and Dutch investment bank NIBC). Plus in August 2018 they managed to complete a debt raise of £250m (here), which should get them to 2m premises. UPDATE 7th Nov 2018: The ISP has increased their overall investment pot to nearly £500m thanks to a significant equity raise with the investment arm of the Government of Abu Dhabi (Mubadala Investment Company), which has also enabled them to bring their deployment targets forward by a full year (details). Until recently Cityfibre was primarily focused upon deploying their FTTP network, using a demand-led model, to serve businesses and public sector sites in 50 large UK towns and cities. The exception has been a legacy FTTH network in Bournemouth (c.20,000 homes) and a city-wide joint venture with TalkTalk (Sky Broadband use to invest in this too) to rollout across York (aiming for 54,000 homes by 2020; currently at c.14,000). However they recently announced a deal with Vodafone to rollout a 1Gbps capable Fibre-to-the-Home (FTTH) broadband network to a “minimum” of 1 million homes in 12 of their existing cities and towns by around 2021, with the “potential to extend” this to up to 5 million (in many of their 50 towns and cities) by 2025 (here and here). This is expected to cost about £350 to £480 per home passed (excluding the customer connection). “..high deployment costs..” most likely this is now untrue and if the price says different, then its down to unfair trade practices and illegal overcharging because equipment costs are far below that of ANY other competing technology roll outs. While it’s good to hear that there will be a lot more FTTH rolled out over the coming years the haphazard and wasteful way that it will be achieved is symptomatic of how badly this country is governed. There will almost certainly be a lot of overbuild, which for such a resource intensive undertaking, is just bonkers. Simply, OpenReach should be re-nationalised (it should never have been privatised in the first place but we can blame that and much else besides on Thatcher) and they should then be tasked with building out a nationwide FTTH network. Basically OpenReach should be to communication networks what Network Rail is to railways. Build it once and build it well, to every property in the country (or at least every property currently connected to the copper PTSN), and OpenReach then wholesale it to the retail providers. If only Ofcom had a bit of hutzpah they would of made this happen years ago. Competition at retail level makes sense, at network/infrastructure level it’s complete and utter lunacy. And where does the funding come from for this nationwide FTTH network? Who funds the nationalisation of Openreach? No need to nationalise Openreach. It could be bypassed, just need the right legal and regulatory framework, e.g. something like was originally done with NBN in Australia before the current coalition government there abandoned it. The principal idea of building only one fibre infrastructure is valid, having multiple access networks is quite wasteful. You only got one gas pipe, one electricity line, one water pipe into your premise. Why would need multiple fibre networks? @GN – How would this brand new single network be funded and what would happen to all the existing networks? @TheFacts: Perhaps we can come back to your own funding proposals from 2 years ago? It’s a longterm investment which can eventually be sold to shareholders or investors once built. Also, some revenues will come in pretty soon even before the final completion. The taxpayer won’t be burdened in the long term. It’s worth considering the question of whether some other wasteful projects like the HS2 are really needed in its current over-expensive form. One thing is for sure: The commercial market alone isn’t able to built a widespread fibre network. The competitive fibre infrastructures model as promoted by Ofcom or the government doesn’t work. Whilst people might think HS2 is a waste of money, the current government is committed to this project. They will not cancel it and reallocate funds elsewhere. I do believe that BT/Openreach will deploy FTTP to 10 million premises by 2025. There is no chance of it being extended significantly beyond this by any commercial operator without government/public funding. In terms of multiple access networks, then this is an inevitability if operators want to build their own networks. Cityfibre/Vodafone’s first deployed area will be Milton Keynes, a city which was part of the original Openreach FTTP trial and has had FTTP for the best part of 9 years now in many areas. @GN – How would this brand new single network be funded, by the government? Ask again – What would happen to all the existing networks? Who would manage and maintain this network? Other existing networks would also need to be bought out / nationalised to become part of the new single network. The money for this and many other infrastructure projects could be found or simply created (print money and invest in infrastructure instead of using it to prop up failing banks) if there was the political will. And what’s more it would pay for itself by creating jobs and economic growth. If there’s any doubt about this ask yourself how the UK rebuilt itself after World War Two and also introduced the NHS, comprehensive education, and the welfare state at a time when the country was effectively bankrupt. It is totally possible to renationalise and create nationwide FTTH network. It would be the quickest, most efficient and cost effective solution. It just requires the political will. But it’ll never happen, of course, because it’s far too bold for the current crop of political leaders. Imagine what the Daily Mail would say! It is also important to note that the UK requires full symmetric Point-to-Point FTTP/H and not asymmetric shared-fibre solutions deployed in small pockets cobbled on top of the twisted pair network. And the basis for P2P is? You realise symmetrical broadband can be delivered over PON? No, it doesn’t. I appreciate B4RN do everything better than everyone, ever, and their approach is the only one that is ever acceptable but there is nothing wrong with PON. There are symmetrical variants that work perfectly well. @ AndyH – So why isn’t it being done that way ? Because there is no need for it and it would add a noticeable extra cost to broadband bills. Over time I’m sure it will come, but for the moment there is no need. So there’s activity in infrastructure development. Great. Now what about the domestic consumer experience and choice, or rather lack of it? Of the half-million FTTP/H connections, how many are, or have become, BT customers? I’d guess well over 90% because the other big players aren’t interested in reselling or supporting it. Equally anyone care to estimate/guess at the overlap of these plans? “Well the difference with openreach is they have existing assets in place, so the business case for them is clearly much less favourable than it is for the likes of gigaclear and co. I expect if the ASA decided tomorrow that only full fibre services could have fibre in their product wording, then openreach would possibly change their stance over night. The marketing departments have huge influence over expenditure. Excellent summary MJ. It is clear that these providers are convincing their investors that there is a good ROI in 100% Fibre. Proving that BT could do the same if they had the confidence Ofcom would not interfere. Where the investment is concentrated I assume they will build their own civil’s but in other areas they will seek to use Openreach duct work. I am also assuming that these companies will seek to avoid each others patch at least for the interim. I wonder therefore going forward that if an ISP gains a Fibre monopoly in a certain geographical area will Ofcom step in and obligate them to offer access options to other providers as Openreach are? We have been through the pain of installing ugly power hungry cabinets in our streets and this will now be exploited with Gfast. 100% fibre will be more reliable, resilient and cheaper in the long run but any serious failure would be time consuming to recover from. It will be interesting where the future pricing will settle for these competing services. It could be consumers will be content with a guaranteed 100Mbps. Altnets are attracting investment and gaining scale. INCA will publish a report on Altnet coverage next week (full fibre and wireless) and it is very encouraging. We are at an early stage in the development of new digital infrastructure in the UK and a variety of business models are working well. Ultimately it might make sense to bring the infrastructure providers together under one umbrella, but we think that now is too early in the process. However, greater co-operation between industry players to minimise wasteful overbuild and maximise re-use of existing passive infrastructure makes a lot of sense and should be encouraged. There will be natural consolidation as smaller players run out of cash and get taken over by others. Investors will not be patient and keep bailing out firms who find it difficult to get consumers onboard. This is a replay of the cable fiasco from the 80s and 90s. TalkTalk envisage their 3m FTTP target to be completed over a 3-5 year period. I’d probably say the same if it wasn’t for the fact that their investment partner now has a serious and well established commitment in the field. A big challenge for TalkTalk will be continuing to keep investment flowing into their mass-market copper based broadband products while also pushing themselves to the limit on FTTH. There’s a lot of debt flowing around and right now they don’t have a lot to weight against it. Re overbuild – wherever B4RN go up pops openreach cabinets. They don’t get many customers though. What is becoming very clear is that competition is what is driving progress. The cities would probably still be on dial up if it wasn’t for virgin shoving the incumbent. Right. Just looking at the mass of Virgin Media homes in Milton Keynes where FTTP pilots were done certainly gives that away. I can’t even get fttc never mind fttp. I’m a stones throw from the city centre of a city.